Beaches are very popular with dogs, plenty of room to run around to your hearts content. 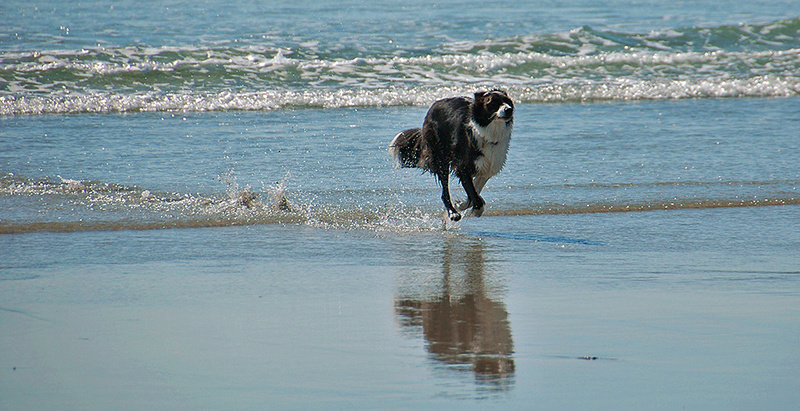 Here a Border Collie is running through the shallow water on the beach in Machir Bay on the west coast of Islay. This entry was posted in Beaches, Landscape, New Post, Sunny Weather and tagged Border Collie, dog, Islay, Kilchoman, Machir Bay, Rhinns of Islay by Armin Grewe. Bookmark the permalink.